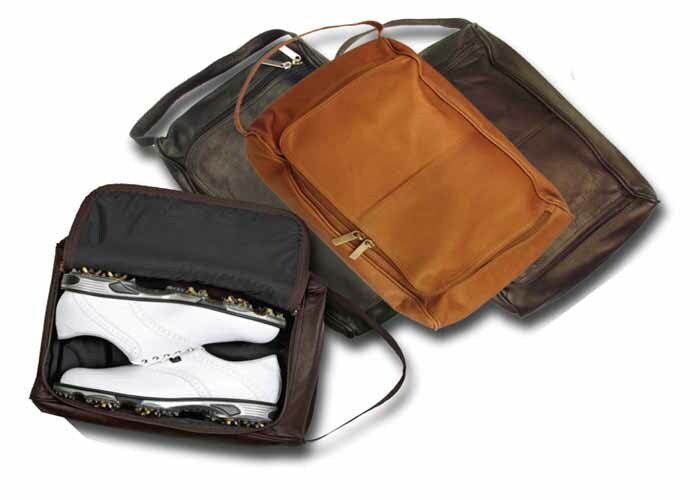 This leather shoe bag with canvas interior is the perfect storage and carry article for your golf or dress shoes. These can be embroidered or embossed with your logos. Black, Tan, Coffee and Distressed colored are available. Embroidery or printing is available.14 x 9 x 4" This article is made in Colombia of the finest Vaquetta leather available.